Gabriella Dessanti, our Josie's Juice resident book reviewer, is back with another superb book review. 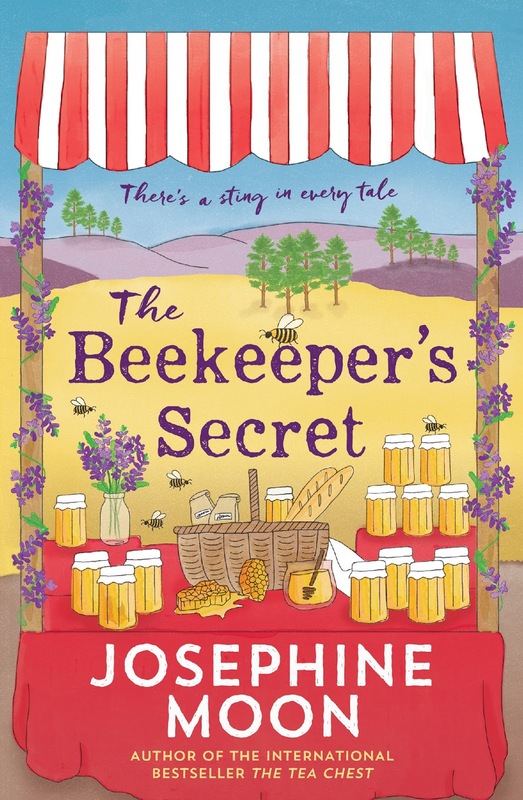 This time, 'The Beekeepers Secret', by Josephine Moon. For Maria, a former nun, her family is the most treasured part of her heart yet she has isolated herself from them, nursing a terrible guilt from her time as a nun. Living in a picturesque mountain top, the Honeybee Haven, where she indulges in her passion of beekeeping. Like her beloved bees - 'her girls' - her life has been dedicated to hard work and the service of others. To her horror, the past has now tracked her down - someone who is privy to her past and her adorable niece Tansy, who is very keen to reunite her disjointed family. Maria has already been living out her own self-imposed penance. The question is: has this been enough, or does she need to be held publicly accountable? Tansy tangles herself into a web of deceit and lies as she gets to know her aunt and tries to understand the rift between Maria and her sisters, all the while planning for the perfect time to introduce her back into the family fold. Tansy has her own challenges to face; she made a deal with her older husband never to have kids but now as she approaches her thirtieth, she has mixed feelings. Love, the nectar of life, guides her as she competently navigates her own heart and those of her family. With insightful knowledge about bees and the lost art of beekeeping, the bees amusingly played a significant role in the plot and added lightheartedness to a provocative social issue which, at its heart, exposes a complex web of secondary and tertiary victims that have been threatened into silence. Josephine Moon's first novel, The Tea Chest (2014), delighted readers with its strong heroine and enchanting story and was a bestseller both in Australia and overseas. Her second novel, The Chocolate Promise (2015), was a love-story with a difference set in luscious Provence and rural Tasmania and was also a bestseller. The Beekeeper's Secret, a novel of family and the happiness, guilt and grief that can lie within them, is her third novel. Josephine lives with her husband, son and her horses, dogs, chickens, goats and cats on acreage in Queensland. See the rest of Gabriella's book reviews here and here and here and here - and her last book review on 'A French Wedding' here.